Jet Car Stunts is an award winning, over the top, adrenaline rush, 3D driving game, with massive jumps, midair hoops, floating platforms, spiral roadways and outlandish maneuvers in impossible environments. 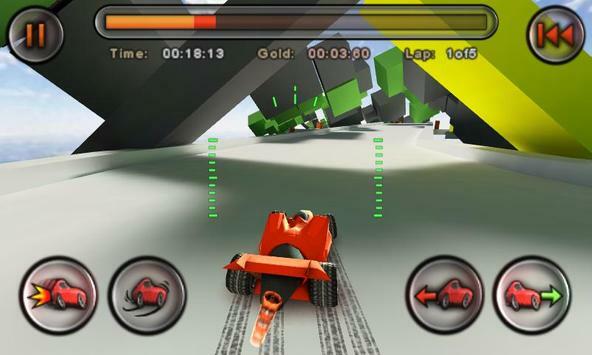 The orgininal levels, tight controls and fast, smooth, addictive game play has landed Jet Car Stunts on many "Best of 2009" lists for iOS and now it is available on Android. Tight, responsive accelerometer driving controls. 8 insane tracks. Get The full version of for 36 more tracks. Half car, half jet with inair control surfaces. Platforming The challenge is simple, just get to the end. Each track is more challenging then the last. Time Trial Race to reach the next check point before the time runs out. Beat your best time. Tutorials Learn all the tricks you will neet to meet the challenges to come. 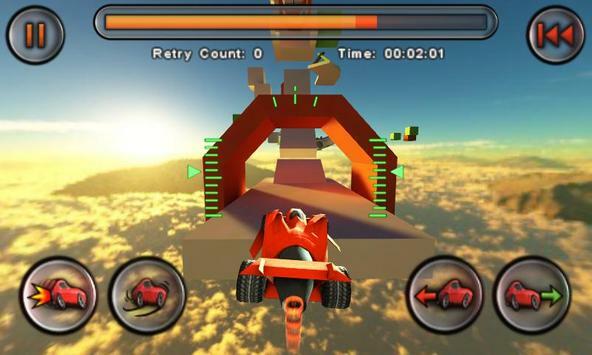 Please review Jet Car Stunts Lite Game and submit your comments below. We will collect all comments in an effort to determine whether the Jet Car Stunts Lite app is reliable, perform as expected and deliver the promised features and functionalities.